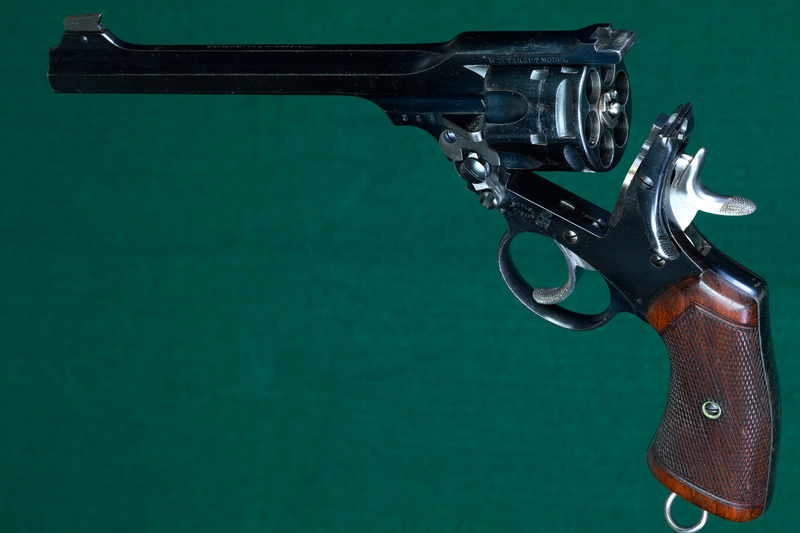 Revolver Cylinder, mounted on a Colt Single Action Army revolver. Muzzle end of a Cylinder, removed from a revolver. 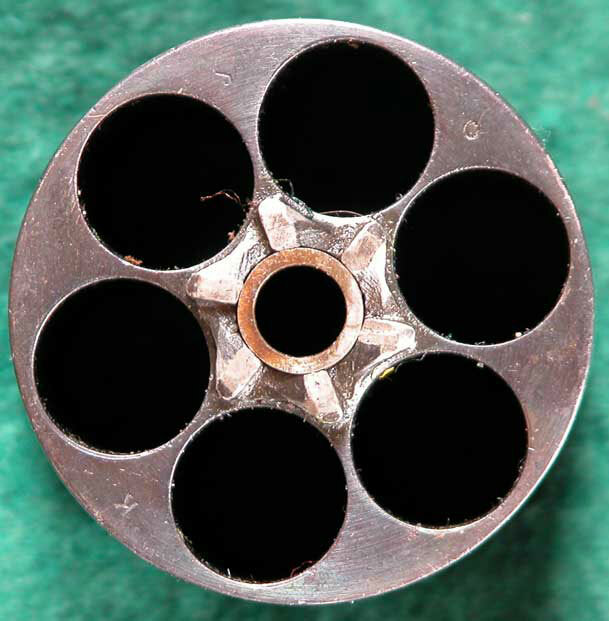 Breech end of a Cylinder, removed from a revolver. 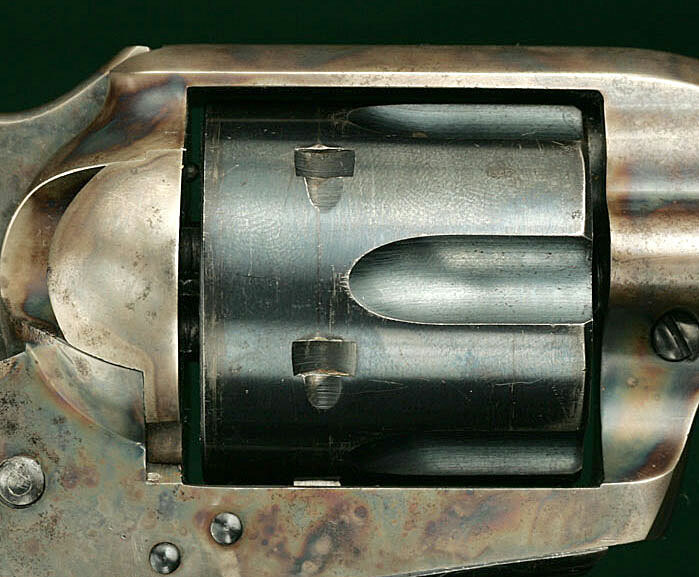 Cylinder - That part of a modern revolver that holds cartridges in separate chambers radially around a central hingepin. 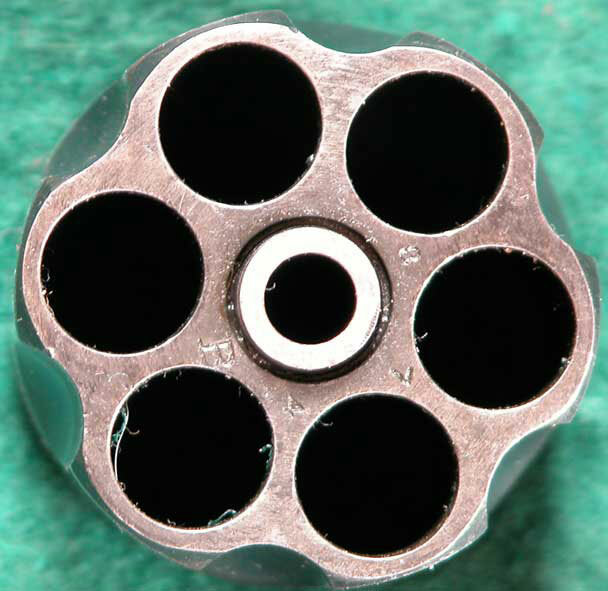 The cylinder revolves as the handgun is cocked, bringing each successive cartridge into position, and locked into alignment with the barrel for firing.